In the age of globalization, working with people from different parts of the world is common for many industries. Employees often have to travel long distances, which are not only hectic, but also costly for the company. Thanks to the fantastic state of the current economy, companies can no longer afford to spend extra money on travel expenses and accommodation. Furthermore, since travel often involves shifting between different timezones, employees are jet lagged and they aren’t able to perform at their fullest potential. And finally, there’s the environmental crisis, which is forcing more and more companies to go green and to cut out any unnecessary activities that may affect the environment, which obviously involves travel too. So, what’s the solution to this? Should we stop globalizing? The answer is No. Thanks to the marvelous advancement in modern computing, people from different parts of the world can now communicate without even leaving their own office. The technology I’m talking about is web conferencing. Web conferencing allows you to hold meetings, seminars (called webinars), annotate whiteboards, training events, lectures and more using the power of the Internet. To hold a web conference at your own office, you’ll need decent web conferencing software. If you’re looking to buy/ download one, there are plenty of options out there. However, if you’re on Linux, your choices are a bit limited. Don’t worry though, read on as we cover the best web conferencing software out there for Linux. OpenMeetings is an open source web conferencing application that allows you to instantly set up a conference on the web. This browser-based tool lets you use your webcam and microphone to hold meetings over the Internet. Other features include the ability to share documents on a whiteboard as well as screen sharing. If you need to review your meetings, you can also record those using OpenMeetings. Licensed under EPL, OpenMeetings is free to download and install on a hosted server. 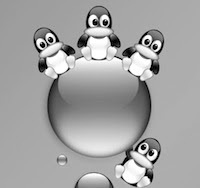 Here’s another propriety yet feature-laden web conferencing tool that works on Linux. FastViewer Confered offers great features like web collaboration, online training sessions, encrypted communication, mobile device support and more. 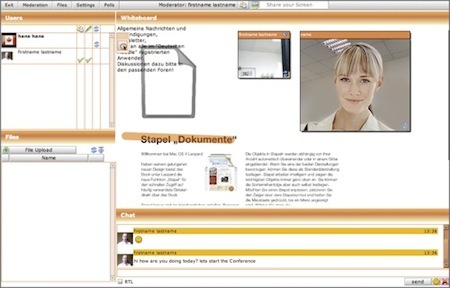 Furthermore, the software also allows users to record meetings. One advantage that FastViewer has over other web conferencing software is that it allows AES 256-bit coded encrypted communication. 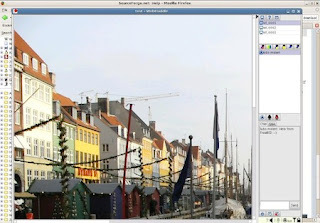 FastViewer is proprietary and works on Linux in viewer-only mode. Adobe Connect is Adobe’s web conferencing software that runs across almost all popular platforms. Despite being entirely Flash-based, Adobe Connect comes with an impressive set of features, which include: unlimited and customizable meeting rooms, breakout sessions within a meeting, VoIP, polling, notes, business video conferencing, chat and whiteboard. Adobe Connect runs on Windows, Mac OS X, Linux, Solaris, and mobile. For Linux, the presenter/host has to be an Ubuntu 10 (or above) machine. The attendees on the other hand, can choose between Ubuntu, RHEL or Novell SUSE. Another important and annoying requirement is that the computers need to have Adobe Flash player 10.1 or higher. Even though it’s proprietary and Flash-based, Adobe Connect deserves a worthy mention on this list simply because of the impressive features it comes with. 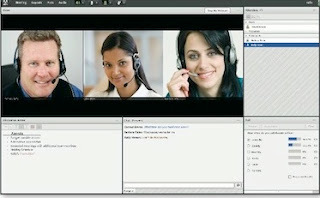 WebHuddle is a Java-based cross-platform web conferencing application. The open source web application runs on any Java-based computer and transfers data encrypted by HTTPS. During installation, the client applet which is about 75 to 175 KB makes sure that it takes almost no space at all. Then, web conferencing can be started using the easy to use web-based tool. With a conveniently low set of requirements, WebHuddle makes it easy and economical for small businesses to carry out web conferencing. Since the tool is in beta, it is free to install and try out. Once out of beta, the company might charge for the service, though the model still remains open source. Zoho Meeting is a web-conferencing service from Zoho, the company that develops popular cloud-based office solutions. The application allows participants to see the screen of the presenter by using ActiveX, Flash or Java. A unique thing about Zoho Meeting is its Embed feature that allows corporate users to embed meetings into their webpage. For those concerned about security, Zoho encrypts all data that is transferred. Though Zoho Meeting works on Linux, its only limitation is that the presenter should be using a Windows computer. The service starts at $12 per 5 participants. The site also offers users to watch a free live demo before buying the service.